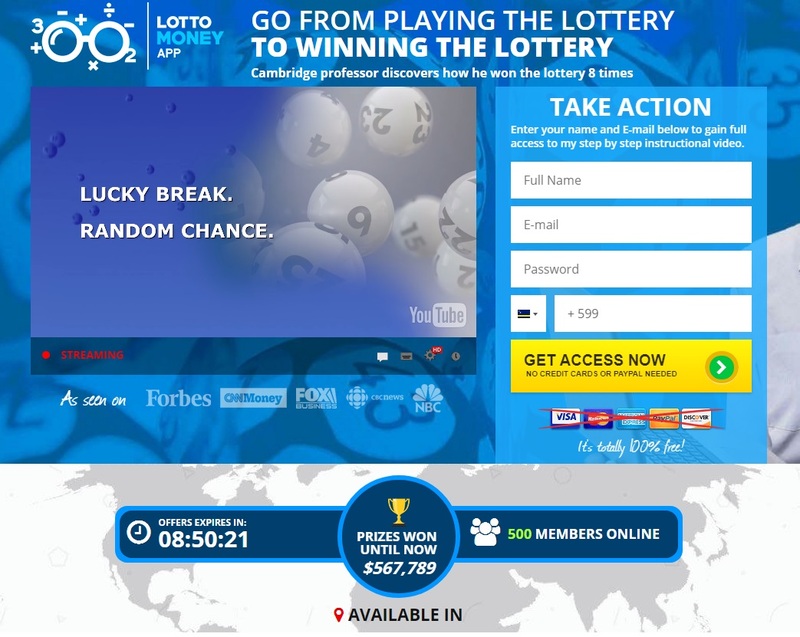 Recently we came across several websites that promise winnings in lottery. But they are all scams. Scammers buy ads and send unsolicited e-mails with stories about people that regularly win money in lottery games. These programs have different names, like Lotto Crusher, Lotto Destroyer, Lottery Professor, Lotto Money App or Lotto Secrets. These program promise apps that will generate you winning numbers so that you can win too. But you just need common sense to know that it is a scam. Lottery scams work the same way as binary options scams, this is why we are writing this article. Some lottery programs have affiliate programs, so you can make money by referring new players. And this is really all it is about. 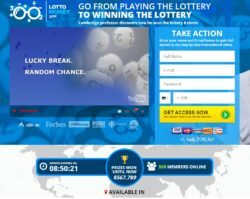 Scammers use lies about winning numbers generating programs just to make you deposit with a certain lottery game (like Powerball), so that they earn an affiliate commission. So they don’t care that their generators cannot generate winning numbers and that you will lose, because they will get their money anyway. Lotteries cannot be beaten, winnings are a matter of pure luck, nobody can predict winning numbers. This is why playing lottery is really just a game. All programs that promise you lottery winning numbers are scams, because winning numbers just cannot be predicted in any way, they are dictated by chance. What can be predicted, to a certain degree, are price movements of various assets. This is called financial trading. You can try it on a free demo account to see how it works. Predict if the price of stocks like Tesla or Google will go down or up. Stock prices are not driven by chance, but by fundamentals.